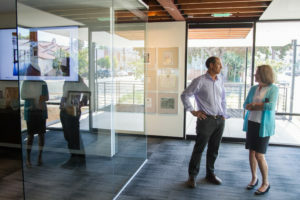 A couple of weeks ago, our studio had a guest visit from Congresswoman Susan Davis. 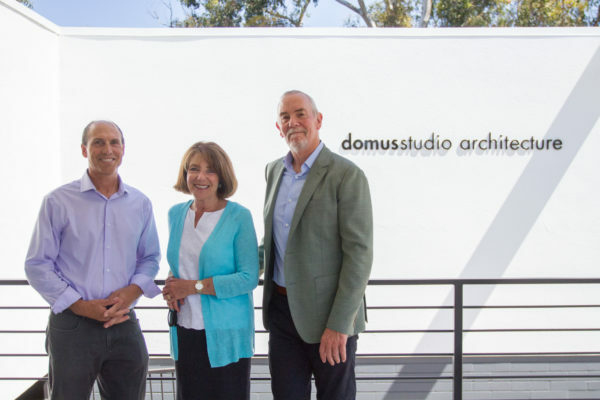 Congresswoman Davis toured our new office and spoke to John Pyjar, one of the partners at domusstudio, about the process of renovating the Brandon-Beaver Building (originally designed by Homer Delawie). We were very happy to have Congresswoman Davis at our office and to share our journey with her. You can read the full article on her blog here.